Pearl’s Mardi Gras Masquerade Party. It wouldn’t be Mardi Gras without a masquerade and Pearl’s Liquor Bar in West Hollywood is just the place. They’ll even supply the masks, or you can bring your own. They be serving southern specialties like seafood broil and gumbo, in addition to the bar’s special drink of the evening, Pearl’s Hurricane. 8909 W. Sunset Blvd. in West Hollywood. The Hotel Cafe. 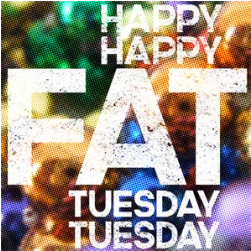 If you’re looking for an intimate music venue to celebrate Fat Tuesday, check out the Hotel Cafe. in the Larchmont/Melrose area of Hollywood. The ROAMies, a husband and wife duo with an Americana sound, will perform a special Louisiana Mardi Gras-themed set. 1623 1 /2 North Cahuenga Blvd, Los Angeles. 21 and over. $10, no credit cards for entry at the door. The Farmers Market. From 6:30 PM to 9:30 PM, The Farmer’s Market will mark its 25th annual Mardi Gras celebration. New Orleans and Zydeco music, strolling parade bands, activities for kids, bead-throwing, and much more! Authentic gumbo, jambalaya and other southern favorites including Dixie beer will be on tap. 3rd and Fairfax in Los Angeles. Free. This entry was posted in Alternative, Beverages, Blues, Cocktail, Country Music, Dance, Dixieland, Folk Music, Hollywood, Jazz, Mardi Gras, Mixology, Neo-soul and Soul Music, New Orleans, Pop Music, R&B, Rock Music, Singer, songwriter, Stage, World Music, Zydeco and tagged americana, Amoeba Music, Amoeba Music Hollywood, blues, Blues music, broadcast, Canyon Club, Carolyn Fox, Carolyn Fox's Hollywood Spotlight, celebration, country, entertainment, Farmers Market, Farmers Market Mardi Gras, Fat Tuesday, folk music, Hollywood, Hollywood Spotlight, Hotel Cafe, jazz, Los Angeles, Mardi Gras, music, music Los Angeles, New Orleans, Olvera Street, Olvera Street Children's Parade, Pearl's Liquor Bar, pop music, R&B, radio, Rhythm & Blues, rock, rock and roll, singer, Soul music, syndicated, The Canyon Club, West Hollywood. Bookmark the permalink.